The Montserrado Bee is created to enable children improve their literacy and learn key social skills and develop a positive attitude. The Montserrado Bee is created to enable children improve their literacy, learn key social skills and develop a positive attitude towards life. The Montserrado Bee is a County spelling competition among primary schools in Montserrado. The project will directly benefit sixty-eight (68) primary students (Public and Private) representing sixty-eight (68) schools. 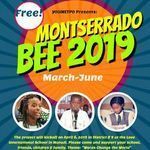 The Montserrado bee is a County spelling competition among primary schools in Montserrado that will give primary students the opportunity to compete and prove themselves against their counterpart in public and private schools on an equal footing. This project will last for four months (March-June) in Montserrado county.This Project is intended to help Primary students have higher capacity to spell, give correct pronunciation of words as well as master their meanings. It will also improve their speaking and reading skills. Above all, it will make students to realize that it is through hard work one can excel in his/her academic and other circular endeavor. The project will directly benefit sixty-eight (68) primary students (Public and Private) representing sixty-eight (68) schools from all seventeen (17) electoral districts in Montserrado County and will also indirectly benefit approximately over five thousand (5,000) persons including students, Parent, and well-wishers. •	Develop cognitive skills and increase understanding of ideas and values making students competent to pass standardized tests. •	Build confidence and presentation abilities that will make students succeed. •	Encourage students to read at all time. •	Bringing about competition among Pupils. Liberia is significantly behind most other Sub-Saharan and low- and middle-income countries in terms of its performance on education indicators. The challenges to education are significant: they include the 14 year-long civil war, through which much of the trained workforce was killed; tens of thousands of children were either killed or abducted into armed forces; and schools were destroyed. Another major challenge to education has been the 2014 Ebola outbreak during which schools were closed for seven months, disrupting the normal school cycle. Many of Liberia’s primary and secondary schools and students are concentrated in and around Monrovia, Monsterrado County. In 2014, there were 949 primary schools in Montserrado county and 130,272 pupils, followed by Nimba County, with 573 schools and 64,481 students (EPDC Spotlight on Liberia). Montserrado is also, by far, the County with the largest number of secondary schools (523) and students (90,236). Like primary schools, the majority of these schools are private. Failure rates at public test (WASSEC) remain very high in Liberia. Students show very poor spelling competence even at point of graduation from high school/universities. Students lack opportunities to develop healthy competitive spirit in a competition that gives no room for cheating, violence or rancor. Students in rural schools (in Montserrado or other counties) rarely have opportunities to compete and prove themselves against their counterparts in urban and private schools on an equal footing. 43.82% (0-14 years; male, 038,452/female 1,016, 491) of Liberia’s 4.5 million people are children between 0-14years and the future belongs to them. In December 2013, the benchmark for Liberian grade 1 students reading at above 25cwpm was 3% (USAID). Recent assessment of Liberian students at early grade levels shows that the students are reading on a 14.6 words per minute; that is very low as compared to the international benchmark of 45-60 words per minute (USAID 2014). However, even grade 3 students were still not on average attaining a level of reading skill adequate to ensure full comprehension of what they read. 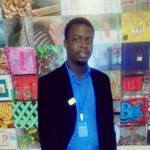 Liberian student performance in reading remains far below U.S. or other developed country standards. "Successful people are confident, have the right attitude and a right set of life skills". We desire to create a new operating system and instill values of Character, Responsibility, Excellence, Empathy and Discipline (CREED). "Words change the world and there is a need to create an opportunity to use words to shape our beloved county future to a new tomorrow''.